Weather is by nature chaotic, and not perfectly predictable. From a given starting point, small variations in initial temperature, pressure, moisture, and other factors in the weather system can lead to dramatically different outcomes. In addition, interactions of earth's oceans and terrain with the atmosphere further complicate predictability. Two periods of rain were recently forecast in Southern California -- one from Wednesday into Saturday, and another from Sunday evening into Tuesday. Model projections varied from day to day and run to run. 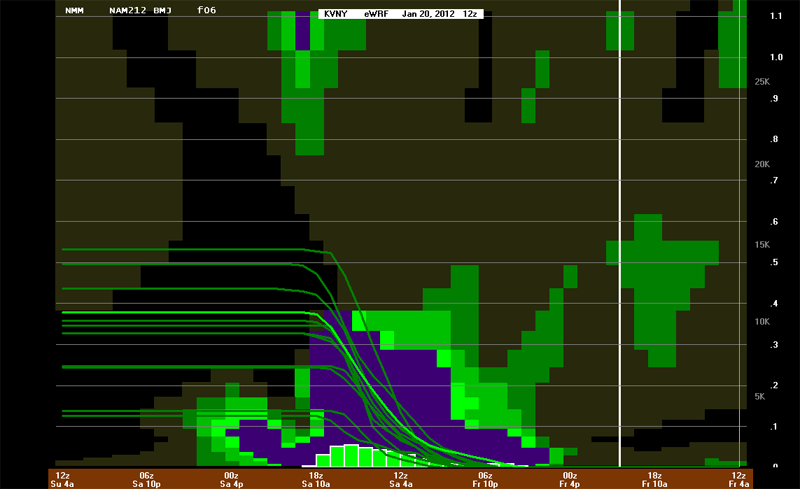 At one time it looked like the Los Angeles area might get about an inch or rain out of both systems. So what happened? Considering the first period, Wednesday into Saturday, here are the preliminary rainfall totals from the NWS. Note how much the rainfall varies. In the Los Angeles basin, Downtown Los Angeles (USC) recorded 0.34 inch, LAX recorded 0.51 inch and Santa Monica recorded 0.76 inch. Locations that benefited from orographic enhancement recorded higher totals. For example. Pacioma Dam recorded 1.11 inch, Warm Springs 1.31 inch, and OPIDS Camp 1.54 inch. Some stations in Santa Barbara and San Luis Opisbo counties received as much as 2-3 inches of rain. A slight change in the position of low to the south on Wednesday and Thursday, or the low to the west on Friday and Saturday could have easily resulted in much more rain. We're in the middle of the second period now. 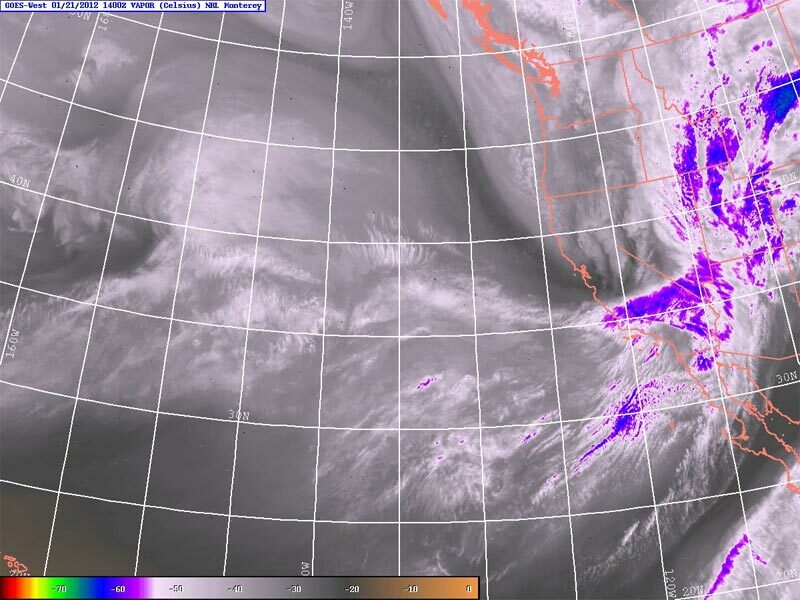 Instead of an over the ocean path forecast a couple of days ago, the cold trough and upper low that is over the southwest took a drier overland course down the West Coast. Nonetheless, there has been scattered showers in Southern California, and even isolated thunderstorms, lightning and hail. It's not a huge step to speculate the rainfall would have been more widespread if the system had taken a more westward path, and picked up additional moisture. So what's next? Globally, some interesting things are occurring that could impact our weather over the next few weeks. 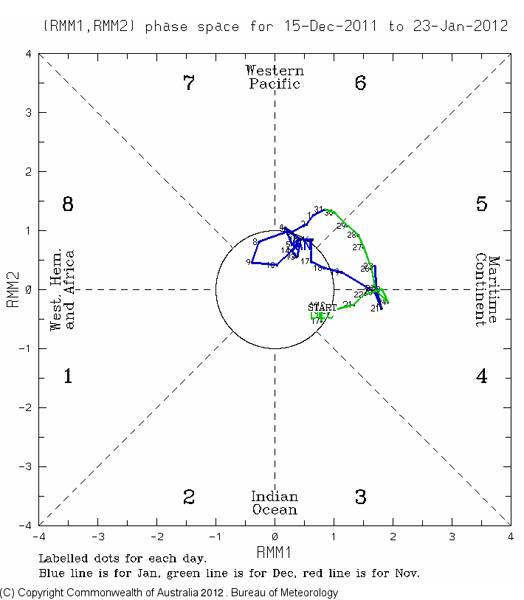 The MJO and GWO are expected to continue their circuit into phase 3-4. 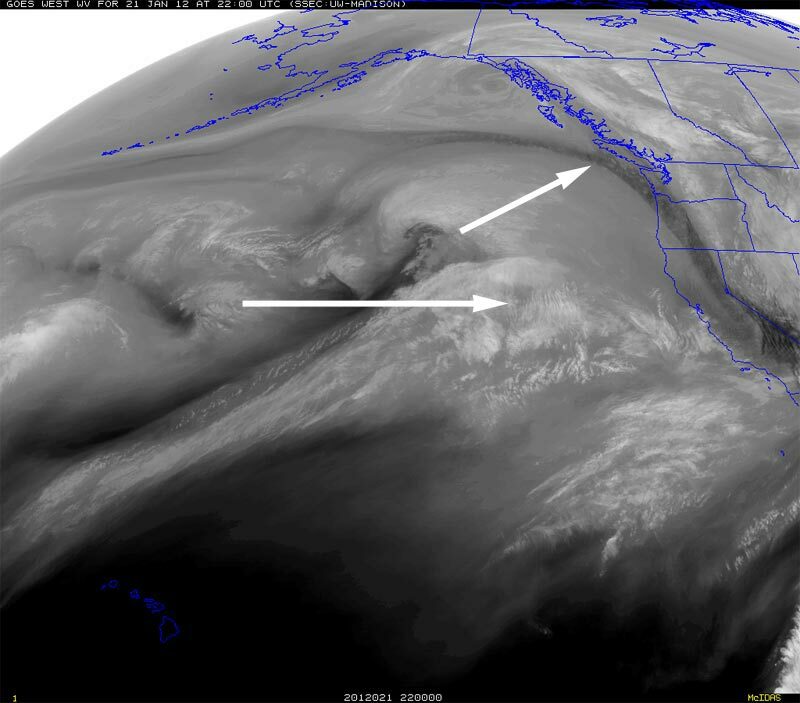 This might open the door to more West Coast troughs, or MJO enhanced rainfall. A Sudden Stratospheric Warming (SSW) event appears to be underway and may result in polar air outbreaks that would affect the mid-latitude circulation. However, in the short term Los Angeles rainfall remains below normal. As of January 25, Downtown Los Angeles (USC) has recorded 5.00 inches of rain this water year, which is 1.38 inches below normal. Last year, the water year total on January 25 was 9.35 inches. The ECMWF and GEFS ensembles suggest the possibility of a strong trough affecting California around February 4th or 5th, but that is a long way out, and we'll have to see!